How do I Join the United Methodist Church? Full Membership is for those who have been baptized and made confession of faith in Jesus Christ and wish to unite fully with this congregation. through confirmation class (click on youth tab to learn more about confirmation) . Full membership enables you to participate fully in our church and qualifies you for any office held by a lay person in our local congregation. ​​Speak to the pastor if you would like to join our church. You may join by Profession of Faith. Profession of Faith is acceptance of Jesus Christ as Lord and savior and the acknowledgment of your faith before members of this congregation. If you have never been baptized, your confession of faith will include baptism. United Methodists baptize persons by sprinkling, pouring, or immersion. The most common mode of baptism is by sprinkling. If you have been baptized, your baptism, by whatever mode, will be accepted and affirmed by our church. Transfer of Membership is moving your official church membership from another congregation to our church. We accept transfers of membership from all Christian denominations. In order to transfer your membership to Grace, we need the name and address of the church from which your membership will be transferred. 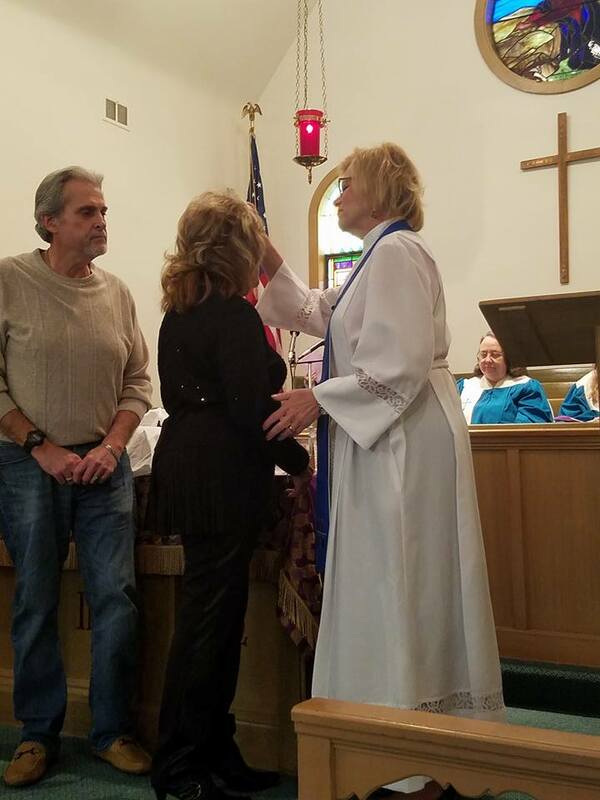 Affiliate Membership is for those who are residing temporarily in our community and wish to participate as a member of congregation while maintaining their permanent, full membership in a United Methodist congregation in another location. As an affiliate member, you are entitled to full participation in our church, except in offices that would allow you to vote in United Methodist bodies other than our local church. If you decide to join as an affiliate member, we will need the name and address of the church in which your hold permanent membership so we can notify that congregation of your relationship with us. As an affiliate member, you will be expected to affirm your commitment to support the United Methodist Church by your prayers, presence, gifts, and service. Associate Membership is for those who are residing temporarily in our community and wish to participate as a member of our congregation while maintaining their permanent, full membership in a church of another denomination in another location. As an associate member, you are entitled to full participation in our church, except in offices that would allow you to vote on our Church Council or United Methodist bodies beyond our local church. If you decide to join as an associate member, we will need the name and address of the church in which you hold permanent membership so we can notify that congregation of your relationship with us. As an associate member, you will be expected to affirm your commitment to support the United Methodist Church by your prayers, presence, gifts, and service.